ALBANY – Eugenia Podgorski entered into eternal life on Tuesday, April 13,2010 after a long illness. Born in Wilkes-Barre, PA, She was the daughter of John Gazda and Anastasia Drabowska Gazda. She graduated from Coughlin High School and worked for many years at Macy’s as a “Red Flower”. She was a daily communicant of All Saints Catholic Church (formerly St. Margaret Mary’s Church) for many years. Eugenia was also active for several years in the Christian Brothers Academy Mother’s Association. Eugenia was the matriarch of her family and took great pride in her children and grandchildren. She enjoyed attending her children’s school activities, particularly their football, basketball, and baseball games and their track meets. In later years she attended her grandchildren’s school activities, their baseball and basketball games. She was the greatest fan and supporter of her late husband, children and grandchildren and was a fierce competitor in her own right. She relished spending time with her family. She was a kind, generous and devoted, wife, mother, sister, daughter and “Nana”, who greatly loved her family. She was a proud, modest and independent woman who was strong in her Catholic faith. She was married in 1946 to her Football All American husband, Edward J. Podgorski, who predeceased her in 1985. While Ed’s work as a mining engineer took the family to Texas, Colorado and Albany and kept him on the road for many years, Eugenia managed their household and served as the “rock” of the family. Eugenia is survived by her son, Michael John Podgorski (Susan) of Guilderland, N.Y.; her daughter, Patricia Ann Podgorski (Donald Zee) of Slingerlands, NY; her three beloved grandchildren, Amanda Marie Podgorski, Gregory Edward Podgorski and Christine Eugenia Podgorski; her niece Barbara A. Albi and three grand-nephews James, Stephen and Christopher Albi of Bangor, PA; and her very dear friend Jenny Draggotta of Colonie. She was also predeceased by her beloved son Edward J. (“EJ”) Podgorski, Jr., her sister Anne Giebus and her brother Michael Gazda. The Podgorski family expresses it’s profound gratitude to the caregivers who took wonderful care of her for the last two years and who helped to keep her at home, particularly, Kathleen De Felice, Joy Leslie, Rita Meyers and Chris McAllister. The family also appreciates all the care and help from Community Hospice of Albany, particularly, Becky, Shanna and Sally. Funeral services will be held in the Hans Funeral Home, 1088 Western Ave., Albany, Thursday morning at 8:15, and from there to All Saints Catholic Church, Homestead St., Albany at 9:00. Relatives and friends are invited, and may call at the funeral home today from 4-8 p.m. Interment will be in St. Mary’s Church of the Maternity Cemetery, Swoyersville, PA Thursday afternoon. 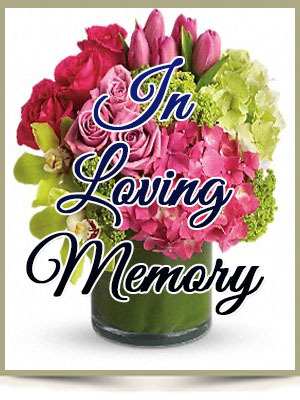 To leave a message of condolence for the family, obtain directions to the funeral home, please visit www.HansFuneralHome.com. Our thoughts and prayers are with you in this time of sadness. So sorry to hear about your mother, Michael. It’s always difficult to say goodbye to our mothers. Our thoughts and prayers are with you at this time. I’m so sorry for your loss. How wonderful that you could keep your mother in her own home. My thoughts are with you.